The EUROMED Migration IV project aims to support all EU Member States and all European Neighborhood Instrument (ENI) Southern Partner Countries (SPC) in establishing a comprehensive operational dialogue and cooperation framework, with a focus on strengthening tools and capacities to shape coherent migration and international protection policies. Within this broad set of goals, understanding media dynamics when reporting on migration on both sides of the sea and promoting more truthful and unbiased information on the topic, together represent an ambitious but very much necessary objective for the project. The findings of this first report portray the map of a region whose public opinion is strongly influenced by the media when it comes to topics such as migration and asylum. However, these media sources often put forward harmful and untruthful information, which is detrimental for both the migrant population and the hosting communities, since it generates and reinforces a climate of fear and insecurity. The study pays due attention to the lack of resources in media newsrooms, which urges them to rely often upon ill-equipped and badly-paid free-lancers, or which does not allow investment in training and information sessions on specific issues, such as the legal and historical basis of migration. Social media also negatively influences the work of journalists and media broadcasts, as it encourages a “rush to publish” that privileges the quantity over the quality and trustworthiness of the news. The report also remarks that most of the media in North African countries lags behind the rest of the world in acknowledging their new status as host countries as opposed to their previous one as transit countries. 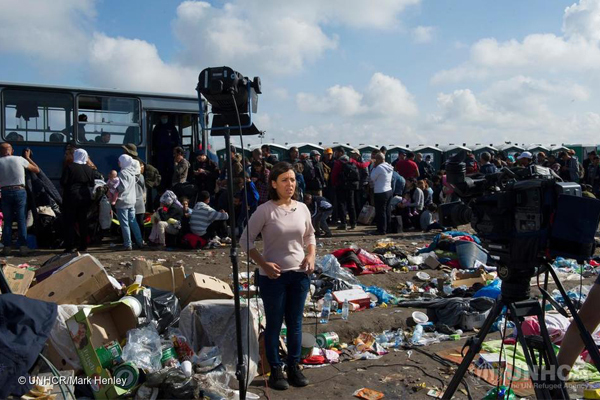 As a consequence, migration media coverage is distorted and out-of-date. Expand national and international funding schemes for media broadcasters without compromising their independence.